Here is a list of foreclosed homes in Southeastern Michigan home. This list is of foreclosures over $300,000. Many times some of these foreclosure listings are no bargain. Just because it says it is a foreclosure does not mean it is a deal or bargain. You have to look at other homes in the area in the same price range. You have to look at the sold comparables. The banks have hired real estate agents that know what the prices are for the area. Of course the banks want the most money for that foreclosed home possible. They want to recoup as much money as possible on their investment. So they have the local real estate agent set the list price for as much as they can get. So for you the home buyer you may be able to find a better home deal out there. None of these homes below are lake homes in Oakland County but there are some nice homes below. COME AND SEE THIS FOUR BEDROOM FOUR BATH BRICK CAPE COD HOME LOCATED IN A CUL DE SAC. THE PROPERTY FEATURES A GREAT ROOM WITH GAS FIREPLACE. EAT-IN KITCHEN WITH A BREAKFAST NOOK, FORMAL DINING ROOM, DEN, FIRST FLOOR LAUNDRY.HARD WOOD FLOORS THROUGHOUT. FIRST FLOOR MASTER BEDROOM. 2 CAR ATTACHED GARAGE. Great opportunity on this 4 bedroom brick colonial in Lake Angela Estates subdivision. Home has had many updates including, flooring, paint, bathrooms, appliances and much more! Home features an open floor plan, living room with fireplace, large master suite, 3 car attached side entry garage and a full finished basement. Offers responded to within 24 to 48 hours. Northville mailing. This spacious 4 bedroom 2.5 bath Colonial is located on a quiet cul-de-sac in the always popular Meadowbrook Park Sub. Open floor plan, 1st floor laundry, huge family room w/fireplace and 1st floor den. Island kitchen w/hardwood floors, breakfast nook and formal dining room too. Finished basement with rec-room, bar area and tons of storage. Plenty of parking for family and friends to enjoy the large lot and deck with Gazebo. This is a bank owned home, sold As-Is, BATVAI. LICENSED AGENT MUST BE PHYSICALLY PRESENT AT ALL SHOWINGS- NO VIRTUAL SHOWINGS ALLOWED. BEAUTIFUL FOUR BEDROOM SPLIT LEVEL RANCH LOCATED IN A DESIRABLE AREA OF MACOMB. OPEN EATIN KITCHEN WITH BREAKFAST NOOK. FIRST FLOOR LAUNDRY. MASTER SUITE WITH JACUZZI TUB & SHOWER, WALK IN CLOSET. FINISHED BASEMENT. CLOSE TO SHOPPING & FREEWAYS. CHIPPEWA VALLEY SCHOOLS. A MUST SEE!!! Offers responded to within 24 to 48 hours. Country living at its best in this updated two story home on 17.28 acres. This property has a nice pond with wildlife and a 32 x 24 pole barn. This gorgeous home offers an open floor plan and is remodeled to perfection. The updated kitchen includes new granite countertops, sink and light fixtures. Brand New Whirlpool Refrigerator, Dishwasher, GE Washer and GE Dryer. New Gas Stove. The master bath has a large walk in shower encased in ceramic tile and sporting dual, independently controlled, rainfall shower heads. The entire living area is freshly painted with new flooring throughout. All new bathroom fixtures and porcelain countertops enhance the interior upgrades. The finished basement has two carpeted rooms, a large storage room, and a large work room. A brand new paver walkway leads to the huge covered porch. The garage has two brand new electric openers. BATVAI. Licensed agent present during all showings. Commission based on net sales price. Occupied property, inspections not available – sold as-is. No for sale sign. Contact with occupants is prohibited. Move in ready brick colonial which features all the space you need and then some! From the front door you enter into a grand two story entry way with a beautiful wrapping staircase! To the right of the entry you’ll find the formal dining room and to the left you’ll find the formal living room. Down the hallway there is a half bath for guests and leading to the two story family room with tons of natural light! The eat in kitchen features a doorwall leading to your rear deck! The kitchen is spacious with a center island giving you tons of counter space and large pantry! This is a Fannie Mae HomePath Property. The seller has directed that all offers on this listing be made using the HomePath Online Offer system at the HomePath website. Buyers, complete the HomePath Ready buyer homeownership course on homepath. Attach certificate to offer and request up to 3% closing cost assistance. Check HomePath for more details or ask me. Restrictions apply. Welcome home to this beautiful 2 story cape cod with award winning Plymouth-Canton schools! This home offers a great room with soaring cathedral ceilings, walk- In Pantry with island kitchen, first floor laundry, mostly finished basement, enormous deck, large first floor mstr bedroom with huge mstr bath, 3 car attached garage. Lots of walk in closets. 3 BDRM, 2.5 Bath. Study could be 4th bedroom if needed. Minutes from shopping & expressways. Offers must be submitted through Auction com. This home has all the space you need plus some!! This colonial style home features 4 bedrooms and 2.5 bathrooms! The basement is huge and is mostly finished. The basement has an additional bathroom, kitchen area and is a walk out basement! There is a den/library is on the first floor as well as the laundry room! The master bedroom features a huge bathroom and WIC. This home is finished off with a 3 car garage! This property has been placed in an upcoming online event. All bids should be submitted at XOME website. All properties are subject to a 5% buyer’s premium, and bidding is pursuant to the Auction Participation Agreement and Terms & conditions (minimums will apply). Please contact listing agent for commission and property details.” Online bidding begins 12/01/18- 12/03/18, see website for more details. Any post-auction offers will need to be submitted directly to the listing agent. All offers will be reviewed and responded to within 3 business days. Enjoy gatherings in the generously-sized single family home, this home should be on your “must see list”. 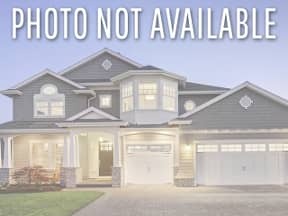 Features comfortably 4 sized bedrooms, 2.5 bathrooms, carpeted flooring, fireplace, a patio and a deck, in-ground pool, ample cabinet/kitchen space, shed for additional storage, full basement and a detached and an attached garage. See that some improvements may have been started, either way you can customize this home to meet your every need. This one is worth taking visit. Contact a local agent now for your viewing schedule. let this home be for you in sought after Oakland county. Significant for storage and floor plan that can contain the wildest imagination for your renovation. This one is worth taking visit. Contact a local agent now for your viewing schedule. Whether you are looking for a home in Farmington, a Condo in Birmingham, or a lake house in West Bloomfield I can help. I know our local comunities, the prices and what to look for in a home deal. I guarantee that I will work hard to find you the best deal possible out there. Here are some great Michigan Detroit Home selling tips. Have you heard of Plymouth’s Greystone subdivision ( Mi). It’s a very nice subdivision not too far from downtown Plymouth. If you don’t know and are new to the area Plymouth has a historic and lively downtown area full of boutique stores, restaurants, and bars. Plymouth is a great place to live. Here is How buying a SE Michigan foreclosure may cost you money. Being a smart home buyer can save you money. Michigan Jumbo rates are higher in most cases than a regular loan. Loan limits for regular loans just went up so you may not need a jumbo mortgage anymore. Are you thinking of buying a lake home. Then check out lakefront homes for sale on Orchard Lake MI. They are going to be more expensive lake homes but it is a beautiful lake.